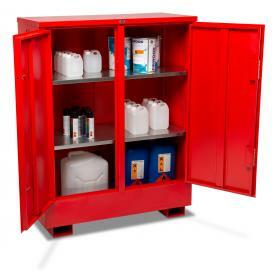 Flammable cabinets designed for the storage of flammable materials must be built to withstand 30 minutes fire. They must retain spill of 110% of the largest vessel stored within it or 25% of the total amount stored - whichever is greater. It is vital that the container have a method of containing any leaks as spilt flammables can travel to an ignition point and flash back to the container. 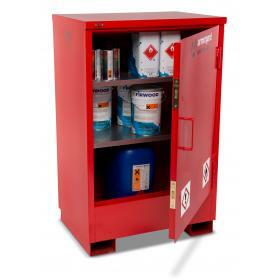 Specially designed to comply with COSHH regulations the FlamBank FB1 provides the ability to safely and securely store hazardous chemicals and flammab.. 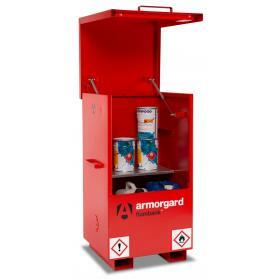 The Armorgard Cabinet is built with 30 minutes flame resistance, as well as flame resistant vents. With a model to fit any specification this FSC1 is .. 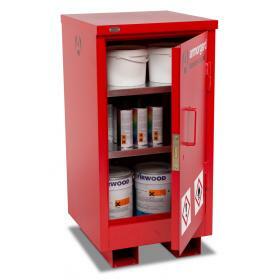 Specially designed to comply with COSHH regulations the FlamBank FB21 provides the ability to safely and securely store hazardous chemicals and flamma.. 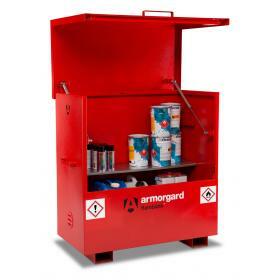 The Armorgard Cabinet is built with 30 minutes flame resistance, as well as flame resistant vents. With a model to fit any specification this FSC2 is .. Specially designed to comply with COSHH regulations the FlamBank FB2 provides the ability to safely and securely store hazardous chemicals and flammab.. 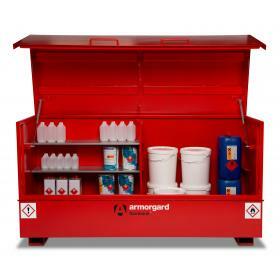 The Armorgard Cabinet is built with 30 minutes flame resistance, as well as flame resistant vents. With a model to fit any specification this FSC3 is .. 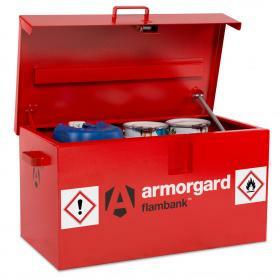 Specially designed to comply with COSHH regulations the FlamBank FBC2 provides the ability to safely and securely store hazardous chemicals and flamma.. The Armorgard Cabinet is built with 30 minutes flame resistance, as well as flame resistant vents. With a model to fit any specification this FSC4 is .. 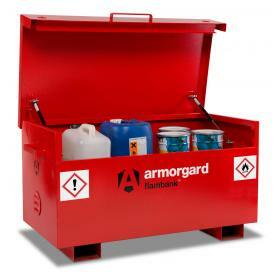 Specially designed to comply with COSHH regulations the FlamBank FBC4 provides the ability to safely and securely store hazardous chemicals and flamma.. 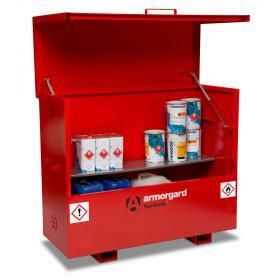 The Armorgard Cabinet is built with 30 minutes flame resistance, as well as flame resistant vents. With a model to fit any specification this FSC5 is .. 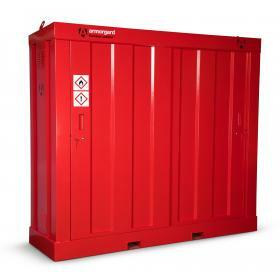 Specially designed to comply with COSHH regulations the FlamBank FBC5 provides the ability to safely and securely store hazardous chemicals and flamma.. 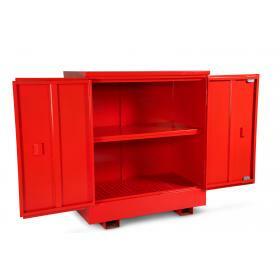 Specially designed to comply with COSHH regulations the FlamBank FBC8 provides the ability to safely and securely store hazardous chemicals and flamma..